A man trying to stop his girlfriend from driving drunk after a block party was run over by the woman's car and killed, police said. Louis Wiederer was holding onto the driver's side of Jesenia Vega's car Saturday evening when she took off and dragged him, Suffolk County police said. Wiederer, 26, lost his grip and fell under the vehicle. Wiederer had argued with Vega at the block party to prevent her from driving, and he had warned her. "You're going to get arrested," Wiederer yelled to Vega, witnesses told Newsday. "You can't drive like that," Wiederer pleaded, to which Vega responded, "Leave me alone," witnesses said. A man who lived near the accident scene and rushed to help Wiederer recalled Vega expressing disbelief at what had happened. "Oh my God. Don't tell me I just killed my fiancé," Jay Steiner, 60, told the newspaper. Vega, 27, was arrested at the scene and was charged with driving while intoxicated. 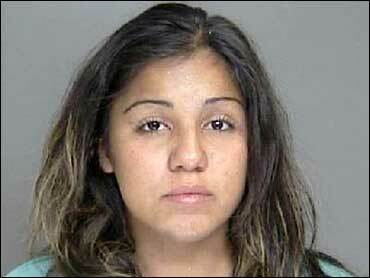 She pleaded not guilty Sunday and was being held in jail. "It looked like he was hitting her, but he was trying to stop her," Nick Montanino, a neighbor, told the newspaper. "She was totally irrational." The woman's aunt, Beatriz Vega, said her niece is "very sweet, very nice, from a good family" and that she had never seen her drinking.